Triad National Security has won a potential 10-year, $25 billion contract from the Energy Department’s National Nuclear Security Administration to manage and operate the Los Alamos National Laboratory in New Mexico. The contract has a base term of five years and five option years with an estimated value of approximately $2.5 billion per year, DOE said Friday. Triad National Security is a limited liability firm consists of Battelle and regents of Texas A&M University and the University of California. Huntington Ingalls Industries’ (NYSE: HII) Stoller Newport News Nuclear subsidiary, Fluor’s (NYSE: FLR) federal services business, TechSource, Longenecker & Associates, Merrick & Co. and Strategic Management Solutions will help Triad National Security perform work on the contract. LANL conducts research in the areas of national security, renewable energy, nanotechnology, space exploration, medicine and supercomputing with a primary mission to design, certify and assess nuclear weapons. 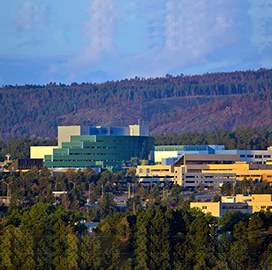 Los Alamos National Security – a company formed by AECOM’s (NYSE: ACM) URS subsidiary, Bechtel, BWX Technologies (NYSE: BWXT) and the University of California – currently holds the LANL management and operation contract that is set to expire on Sept. 30 and is expected to be extended for additional four months to facilitate the transition to the new contract. Lisa Gordon-Hagerty, NNSA administrator and undersecretary for nuclear security, said the national lab will continue to serve as a critical resource to ensure national security as NNSA begins work on the recapitalization of the plutonium pit mission and other programs. NNSA awarded the contract nearly a month after N3B – a joint venture of HII and BWXT – announced plans to kick off environmental cleanup efforts at the national lab following the completion of the 97-day transition period under a potential $1.39 billion contract awarded in December 2017.